A website developed to attract the targeted viewers relies mainly on the overall quality of web content on it. A well-written and unique content has better potential to make your visitors into questions. To get the superior-quality solutions, you can hire us. Web Design City Sydney team is the professional and skilled experts have capability to handle all kinds of requirements and meet them accordingly. Our reliable company hires an expert team who are having better expertise in this field. We can write everything according to differing needs of our customers. 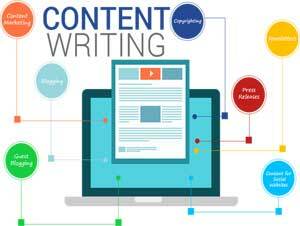 Our content writers can handle different types of works whether it is SEO or web. We have a pool of professional writers who are expert in various fields. Grabbing the better attention as well as engaging the audience is a daunting task. Our writing is the best discipline that helps you to reach your goal very soon. Why Create Relevant and Engaging Content? Many website visitors know about your business reading the website content. We have the best writers who know this fact. We are professionals at keeping both the format and structure of the web pages, articles or blogs. These are relevant information that let online readers go through the details or information in a convenient manner. We always deliver the best quality service which readers find relevant, engaging, in line and easily comprehensible with the best expectations. If you run a business online and you want to get an online presence, you need to use SEO. Content plays a major role in increasing your SEO ranking, so we create the SEO rich data for your website. The specially developed content helps your online business to increase its visibility. We provide the most affordable services that will surely suit all budgets. Our Sydney and around cities based customer’s enjoy our services. Every country has it’s own trends so our team follows new algorithms and trends of content writing and the country and city like Sydney to keep it user friendly and engaging as per topic. We have a dedicated research team that is updated about the new trends to offer best services. We understand the latest trends helps to create the highly engaging and attractive solutions. The proper understanding let us implement the latest trends in our service. Our experts are well-versed in adapting the formats to the different target audience of our customers. Now, the demand for personalized content is increasing more and more. We create lots of new messages that are ideal for your both new visitors and existing customers. As a super-efficient strategy, it appears a true viewpoint to your website. It is a new approaching that not only increases your audience but also helps you to achieve more leads. Customers are turning into a vital portion of branded information. As the content writers, we are encouraging openness.